A really fascinating and beautiful book of poetry that celebrates queer bodies and really defines their differences to non-queer people. It's just absolutely beautiful, descriptive, heartbreaking and yet heartwarming. 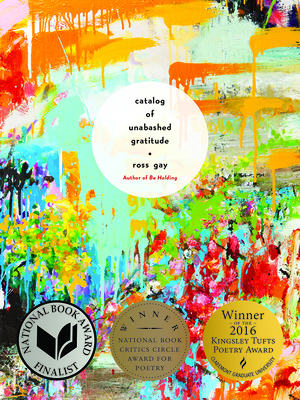 "I'm bowled over by how Ross Gay reaches again and again toward stating what's beautiful, what's sweet, what's most emotionally moving to him: he is genuinely 'unabashed.' He is definitely interested in the sentimental, but the poems don't feel remotely treacly to me. They feel bold and wild and weird." "Ross Gay is a fresh voice in American poetry. His poems are fast-paced, carefully crafted with great attention to detail of those he writes about and the images that surround him. His poetry consists of beautiful metaphors and startling images."